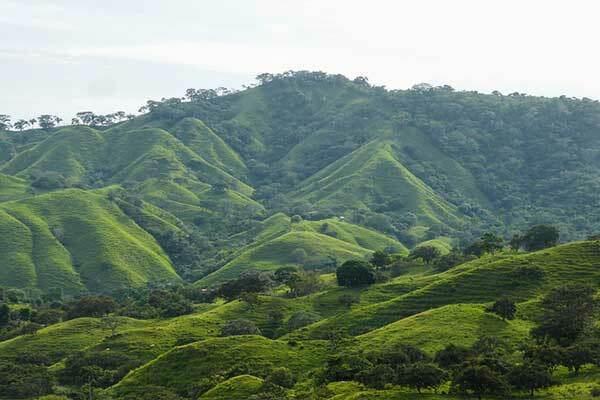 Although a small country, roughly the size of South Carolina, Panama is very diverse. Officially a Catholic country, Panama has a long-established tradition of religious and ethnic tolerance with large communities from all over the globe including China, Korea, Israel, Lebanon, India, Colombia, and Venezuela to name a few. It’s estimated that at least 75 % of the population identifies as Roman Catholic, with 15% to 25% belonging to other Christian traditions. Other religions or belief systems practiced in Panama include the Bahá’í Faith, Buddhism, Judaism, Islam, and Hinduism. 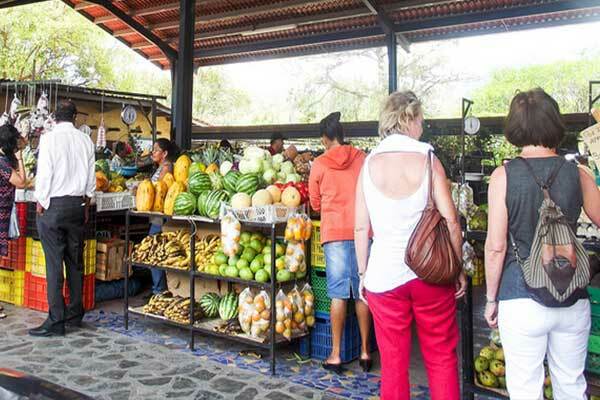 Each of Panama’s regions has its own look and feel, not to mention traditions. Indigenous and Afro-Caribbean communities have rich histories here. And, as in North America, colonization forever altered the cultural landscape. Spanish explorers arrived here as early as 1501 and Panama was part of the Spanish Empire from 1513 until 1821. The failed French attempt to build the Panama Canal, from 1881 to 1889, left its mark and for the better part of the 20th century, through December 1999, the U.S. ran and maintained the Panama Canal. Panama is one of the only countries in the Central and South America region with a large indigenous population. Seven major tribes continue to live traditional lifestyles here, and the largest rule autonomously in massive reserves. Small groups of visitors are welcome to visit and learn about the tribes and their efforts to keep their lands in pristine condition. The Guna possess what may be some of Panama’s most spectacular real estate, as many of them make their homes on the jewel-like Caribbean isles of Guna Yala. Here there is a focus on sustainable tourism. Tourists enjoy the simplicity of white-sand beaches, turquoise waters, and seafood plucked fresh from the ocean. Tours to the Emberá-Wounaan communities, are also popular. Along with the Guna and the Ngäbe-Buglé tribes that inhabit the scenic Chiriqui and Bocas del Toro regions, the Emberá are known for their artistic handicrafts. Notable traditions that have survived into modern times include ancestral hunting, fishing, and the custom of living in elevated huts. Emberá women still tend to go bare-chested and wear colorful cloths from the waist down, with flowers in their hair. Another trademark is their ebony “temporary tattoos.” For these they use a dye made from the juice of the jagua fruit. Much like Indian henna or mehndi, the stain lasts a couple of weeks. Panama is home to thousands of people of African descent, whose ancestors came from places like Jamaica, Barbados, Trinidad and Tobago to help build the canal…or were slaves brought over during colonial times. Though they live all over the capital and the rest of the country, Afro-Caribbeans have predominantly settled in the provinces of Bocas del Toro and Colón. In these provinces, many locals speak English with a Caribbean accent. If you’re a lover of music and dance, you won’t be disappointed. Here you will hear the Latin rhythms of salsa and merengue, Afro-Antillean inspired reggae and percussion, and so much more. There are many places in Panama where you can see evidence of its deep Spanish roots. 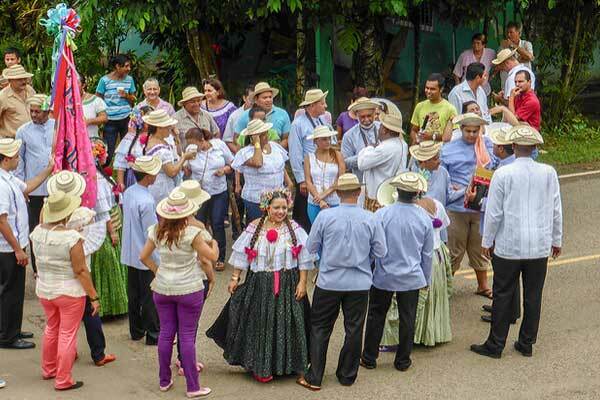 The Azuero peninsula, known as the “cradle of folklore,” is perhaps the most popular. For major national celebrations and festivals, there is no better place. During the Carnival season, locals and tourists flock here in droves. Traditional dances are set to tipico music, characterized by yodeling, accordions, and small guitars called mejoranas. Though Spain and France played important roles in Panama’s history, the existing republic came into being in 1903. A strong U.S. presence helped mold Panama into one of Latin Americans most modern and advanced countries. From 1904 to 1914, the U.S. built the Panama Canal, staying on to administer the waterway and the surrounding “Canal Zone” and later building and staffing military bases. In the decades that followed, everything from infrastructure to fashion trends were influenced by the U.S. presence and international traffic through the canal. Today, international residents, visitors, businesses, and culture continued to influence Panamanian life. Local infrastructure remains excellent…and Panama’s modern, cosmopolitan vibe makes it all too easy to forget that you’re in Central America. Land in Panama City and you’ll see a scintillating skyline of chrome and steel towers. 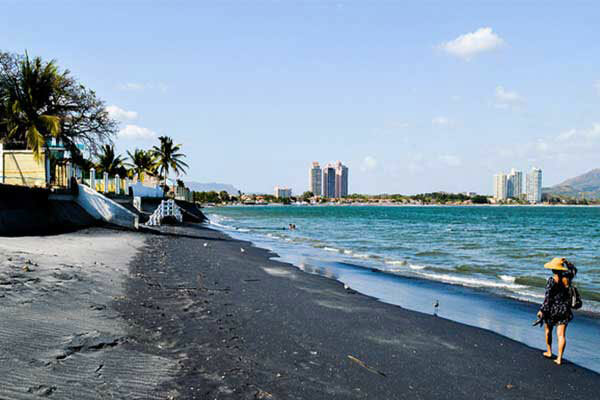 Along the Panama Bay is the Cinta Costera, or coastal belt, a wide avenue lined with greenery, walkways, bicycle paths, recreation areas, and more. It borders the busy International Banking District, where sharp-dressed execs sport smart phones and drive the latest model cars. That is, when they’re not riding the new metro that sweeps through the city’s busy commercial areas. The nation is buzzing with energy, and individuals here are reaping the benefits. A regard for personal connections is perhaps the best-known trait in Panama, particularly in business. Even today, Panamanians take time and effort to establish a personal relationship before entering into a business relationship (as is the case in most of Latin America). Thankfully, Panama’s international history and long association with the U.S. means that Panamanians are accustomed to foreigners from all over the globe. 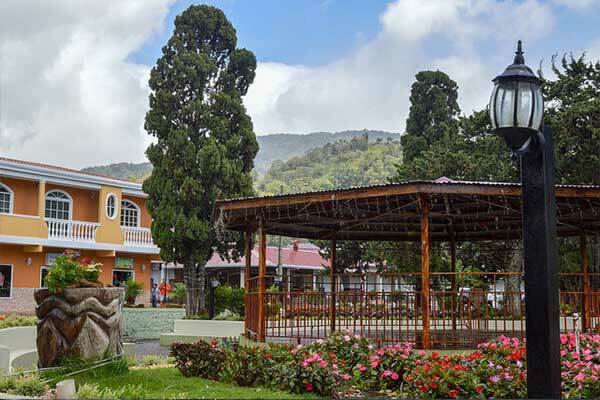 Due to its strategic location, and unique position as a trading hub, Panamas citizens represent almost all of the world’s cultures and religions. It is a true “melting pot” of races, with over 70% of the population being mestizo (mixed Amerindian and Caucasian). You will also find that the term “PC” or “political correctness” carries little weight here. Panamanians are quite direct. If you gain weight, the next time your local friend sees you, he or she is likely to say: “You’ve gotten fatter.” In general, people here don’t mean to offend, so they see no reason to be PC. People here just tend to say whatever they’re thinking. If you’re invited to someone’s home, it is polite to bring a small token, for example, flowers, a box of candy, a souvenir from your hometown, or a bottle of wine. Hands are kept above the table, elbows off. Talking with a full mouth or chewing with an open mouth is, as elsewhere, considered impolite. Conversation while eating is kept to “light” topics such as sports, favorite foods, the weather, etc. Compliment the food a few minutes in and, before leaving, thank your host for a lovely meal. Also, be prepared for pampering. You should always offer to help, but in formal households, your offer will be politely refused (well-to-do locals will have a maid to do the clearing and washing, and won’t want you in the way). You’ll more than likely be served first. If possible, invite your host to a nice lunch or dinner to reciprocate (at your home if you have one in Panama, and if not, at a restaurant). Make sure you’re not too rusty when it comes to general dining etiquette, as upper-crust Panamanians have impeccable manners.